He’s only played six Premier League matches, but anyone who can slot seamlessly into the modern-day Newcastle side and bring some order to the Magpies mayhem is worthy of inclusion on this list. Dubravka’s debut after a deadline day move from Sparta Prague was Roy of the Rovers stuff, keeping a clean sheet and being man of the match against Manchester United in a televised game in front of an audience of millions, the vast majority of whom had likely never heard of the Slovakian stopper. The 29-year-old has built on that start by keeping three clean sheets in six matches to help the Toon go from panicking in 16th place to safety in the top half. Prior to Dubravka’s arrival, Rafa Benitez had chopped and changed between Karl Darlow and Rob Elliot, making quite clear his lack of faith in either. He may not be the big name that the manager had hoped for, but he certainly appears to possess the personality Newcastle need, and it seems almost certain that they will stump up the £4million required to make him a permanent acquisition in the summer. If you listen to Garth Crooks, then you might think that Tottenham’s impressive run is in spite of the “shambolic displays” of their keeper. It is true, Lloris has not maintained the performance levels that earned him top spot in last year’s list, but he remains one of the best in the Premier League. Lloris has kept out 70 per cent of the shots he has faced – down from 76 per cent last year – and that remains the fourth-best figure in the division. 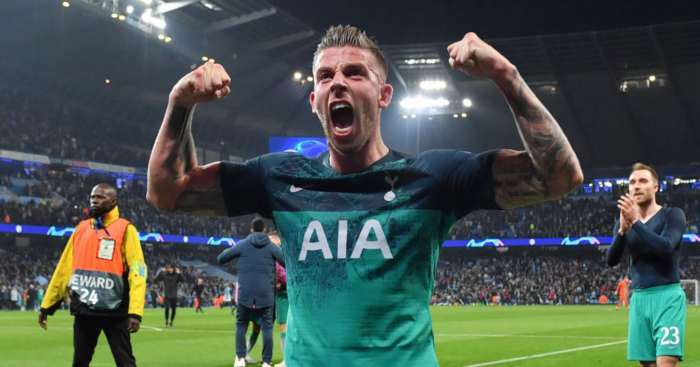 He is behind only Ederson for sweeping up behind his defence and the France captain is still a key figure in what Mauricio Pochettino is looking to achieve at Spurs. Few goalkeepers have had more going on this term than Butland. All the while speculation has been rife of a big move this summer, at which time he hopes to be England No.1, Butland has faced more shots on target than any Premier League counterpart. He has conceded more goals than anyone else too, but that is little reflection on the contribution of a keeper settling back into the goal after a hugely frustrating year out through injury. Maybe all the external factors, particularly around England, have affected Butland. In March he suggested Gareth Southgate should inform whoever he intended to make his No.1 of their status to “give some kind of clarity”, and he then offered a spiky reaction to questions over whether his distribution matched the quality of Pickford’s – which it doesn’t. But his performances, especially since Paul Lambert took over, have not indicated that the distractions have proved detrimental. Like Mathew Ryan at Brighton, Lossl was a Premier League new boy this season, moving to a newly-promoted club after a difficult spell with his previous employer. But David Wagner identified potential in the Denmark international even before he moved to Mainz to replace Loris Karius and the Terriers’ boss has been rewarded with a solid maiden season from his goalkeeper. Lossl, hardly a rookie at 29, wasn’t only signed for his shotstopping abilities. Like other new arrivals Ederson and Ryan, his distribution was a huge factor in his recruitment. Lossl has had the most touches of any keeper in the Premier League and the 6’5” keeper has played 138 more passes than any other No.1. Brighton’s No.1 is another English football newbie and the Australia keeper deserves huge credit for his performances in the Seagulls’ maiden season in the Premier League. Ryan moved to the south coast from Valencia where he endured a rough couple of seasons during which he was in and out of the team almost as regularly as Los Che changed coach. Brighton showed far more faith in the just-turned-26-year-old, and even though he has had to adapt his natural game from a sweeper keeper to one penned in behind Chris Hughton’s deep-lying defence, Ryan has justified that belief. At just over six feet tall, he may be one of the shortest keepers in a Premier League of giants, but that hasn’t stopped him from leaving his line. Only Nick Pope and Lukasz Fabianski have managed more catches. Fabianski was one of very few Swans immune from blame while they coasted towards the Championship thorugh the first half of the Premier League season. The improvement of many players under Carlos Carvalhal has been stark, but the keeper’s standards never dropped. The Pole in goal has been the most overworked keeper in the Premier League since the start of the 2015/16. During that period, Fabianski has faced 505 shots, 60 more than any other goalkeeper, while making 343 saves. Kasper Schmeichel has made the next highest number of saves with 40 fewer than the former Arsenal keeper. In that time, the Swansea stopper has made six errors that have led to goals – the same number as Petr Cech this season – though none of Fabianski’s flaps have occurred in this campaign. You almost have to feel sorry for Pickford. In two seasons in the Premier League, he has played behind a couple of wretched defences. Nobody needs reminding how atrocious Sunderland’s was last season, while Everton have protected him little better. No keeper in the Premier League has had more shots attempted on his goal. Luckily for the Toffees, their 24-year-old keeper has risen above the rampant mediocrity at Goodison Park, so much so that he will likely travel to the World Cup as Gareth Southgate’s first choice. With the higher profile comes increased scrutiny and Pickford has been questioned over recent goals conceded at Stoke and Burnley, but in both cases it was entirely subjective. Pickford still has plenty of developing to do, which may sound strange to say of a £30million England No.1, but this season has been another huge step forward even if Everton have gone backwards. Pope may finish the season rueing narrowly missing out on a place in England’s World Cup squad for Russia. But, as Sean Dyche will point out, look at where he began it. The 25-year-old was on the bench, facing the prospect of having to dislodge one of the keepers most assured of his Premier League place. Since joining Burnley in 2016, he hadn’t made a single appearance in the top flight in over a year until opportunity knocked in September when Tom Heaton dislocated his shoulder. Since then, Pope hasn’t looked back. Only Butland has faced more shots per game, but Pope has conceded 32 fewer goals. His save percentage overall and save percentage from shots inside the box are beaten only by David De Gea, and though Burnley’s expertly-drilled defence has contributed to that success by limiting the quality of opposition chances, Pope’s performances have rightly put him in the national team frame. Saturday saw Heaton return to the matchday squad for the first time since his injury and though Dyche has spoken of his loyalty to his skipper, Pope still retained the gloves. The Burnley boss has a decision to make this summer over who is his long-term option. Dave saves. We know this. We know to expect brilliance from the Spaniard and he delivers almost every time. He’s ridiculously calm and his excellence comes as standard to the point where we are all in danger of becoming complacent to his genius. The Manchester United No.1 is currently the best goalkeeper on the planet. Many may argue Manuel Neuer’s claim to that title but the Germany stopper is perfect for the all-conquering teams he keeps goal for. His sweeper-keeper style might not suit everyone. But De Gea could be dropped behind any defence in the world and look equally unflustered and unbeatable. The bloke is flawless. This season, De Gea has been as reliable as ever, leading the Premier League for shots saved (80.3 per cent) and shots saved from inside the box (72.9 per cent), all the while still providing the jaw-dropping moments that so often separate him from the rest and United from defeat. The saves from Joel Matip at Anfield; Alexis Sanchez at Arsenal; Muriel at Sevilla and Christian Benteke at Palace spring immediately to mind. And United have needed De Gea at his best because his workload has been heavier this term. In 32 Premier League appearances, he has already faced an additional 20 shots on target compared to the 83 he had to deal with in 35 games last season. The 27-year-old has made more saves per game this season than at any time under David Moyes or Louis van Gaal. 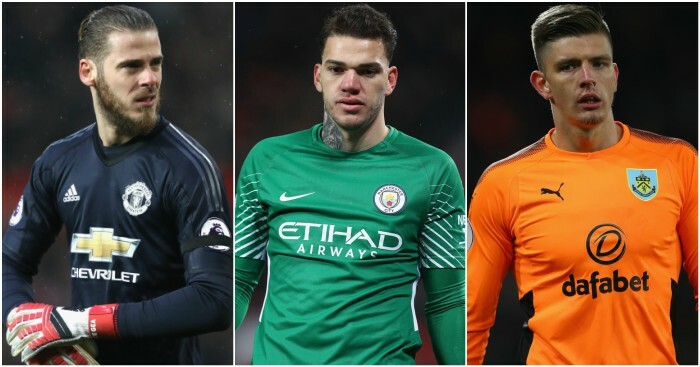 The Brazilian perhaps has not revolutionised goalkeeping like some seem to have suggested – you might be forgiven for presuming all other Premier League stoppers were clubfooted – but that doesn’t detract from a stunning debut season in the Premier League. Of course, Ederson’s distribution catches the eye more than any facet of his game – it’s what he does most. Pep Guardiola’s approach demands that his keeper can identify the optimal pass before playing through lines of pressure all the while accepting that it can be a risky tactic. And that is crucial. The 24-year-old enjoys the luxury of knowing that his manager will take the blame for the odd mistake when other similarly competent keepers know they could be sat on the bench if they screw up while expressing their creative urges. But Ederson has made barely made any mistakes, with hands or feet. The composure and assurance he has brought could hardly offer a greater contrast to the chaos surrounding the City goal while it was being guarded by the ghost of Claudio Bravo last season, and though the Chilean’s recruitment was one of Guardiola’s biggest mistakes as City boss, he has remedied it with arguably his most astute and tactically significant signing. City’s thrilling attack will most often hog the headlines but Ederson has come up big consistently this term with the more traditional goalkeeping tasks. The face save from Juan Mata late in the derby at Old Trafford; the late penalty stop at Crystal Palace; somehow tipping Aaron Lennon’s drive on to the bar at Burnley – all saves that directly contributed to the points cushion City have earned for themselves. “Already he is one of the best but with his age and his desire to improve he will become an extraordinary goalkeeper,” said Guardiola. It’s a thrilling prospect, as is the battle for goalkeeping supremacy in Manchester.